(RestaurantNews.com) Since their debut in March founders of Crave Hot Dogs and BBQ, Salvatore and Samantha Rincione have been very busy. Crave is expanding rapidly throughout many markets. This past week Crave has signed a new franchisee in the Charlotte area. “We are ecstatic for our continued expansion and the support and response to our brand. When we set out on this venture we wanted to bring a unique and fun concept to the franchise world. We also wanted to ensure that we had the proper systems and standards in place, which we know our franchisees will need to be successful,” said Salvatore and Samantha Rincione. 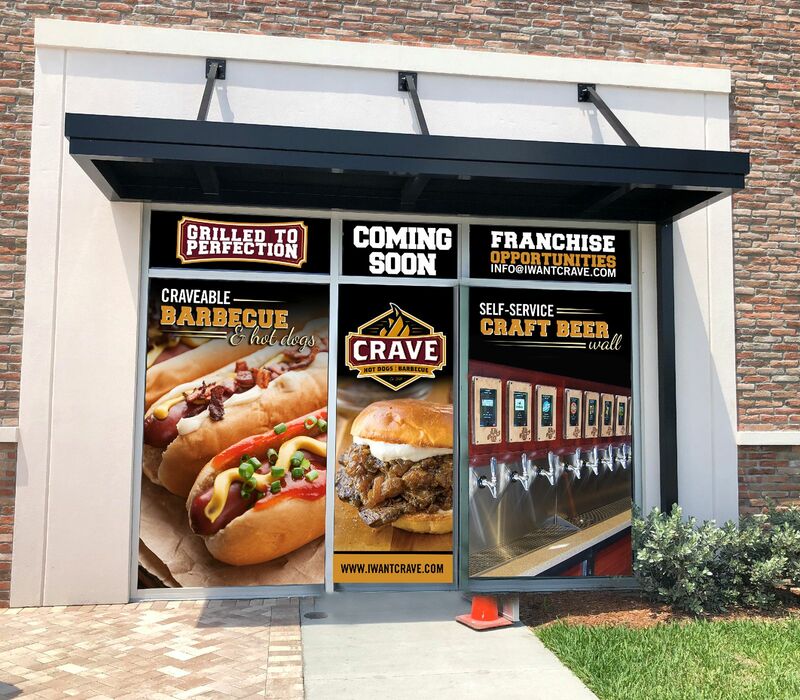 Crave are fast casual hot dog and BBQ restaurants that offer delicious BBQ sandwiches and sliders, hot dogs, brats and sausages with tons of topping options, an array of sides and a self-serve beer wall. The self-serve beer wall will offer anywhere from 18-32 taps which include domestic and local craft beers, a white and red wine option and a cider option.